John Heckle is one of Liverpool’s hottest DJs and in Second Son has released one of this year’s best records. Getintothis caught up with John and asked why so few people have discovered him. 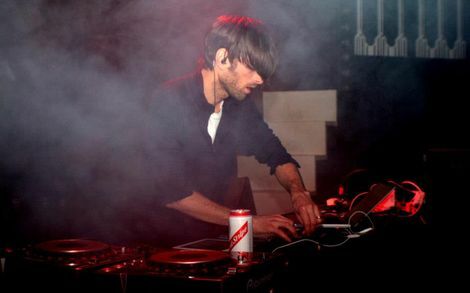 John Heckle is one of Liverpool’s finest DJs and maker of cosmic electronica. Having DJ-ed at Voodoo, Bugged Out and right across Europe, he’s well-known in electronic music circles, yet it wasn’t until our friends at Deep Hedonia told us to check out his debut album proper, Second Son, that we fell for his otherwordly musical charms. Ahead of an exclusive mix prepared for Getintothis, we caught up with John, to find out more about him and his scintillating sonics. Getintothis: Hey John, how’s tricks – what are you up to? John Heckle: I’ve been busy with shows around Europe and getting stuck into new music. Getintothis: So, a bit of context, you learnt your craft as a teenager on Merseyside, give us an idea of how and where you got started? John Heckle: My brother taught me how to DJ when I was 12 or 13, and he let me warm up for nights he used to throw around Liverpool when I was 15 or so. I started using three turntables and drum machines in DJ sets, which got me noticed enough to play gigs outside of Liverpool. Getintothis: Bunking into nights like Bugged Out and Voodoo and then playing renowned club nights just a few years later must have been a big buzz, you must have some cracking memories? John Heckle: Yeah I remember getting thrown off the stage by security at Nation when I was about 14. It was amazing going to techno clubs back then – everything sounded new and exciting, not like nowadays. Playing-wise, Voodoo at Le Bateau was a great experience for me. I think I was 17, and they had a one-off return party there. One of the DJs couldn’t make it so I was asked to play a short set. After hearing all the stories of the parties at that venue, it’s a massive honour to say I played the last ever Voodoo there. Getintothis: You released your debut record, Second Son, late last year – you must be pleased with the reception it’s had? John Heckle: It was my debut full-length album yeah, though I’d had various singles and EPs previous. Yeah, it seemed to be received pretty well. It’s obviously not for everybody, so I appreciate the positive all-round reception. Getintothis: It’s a huge sounding record, a world away from the minimalist beats you usually associate with techno, what inspires you and can we expect to hear it played with a live band? 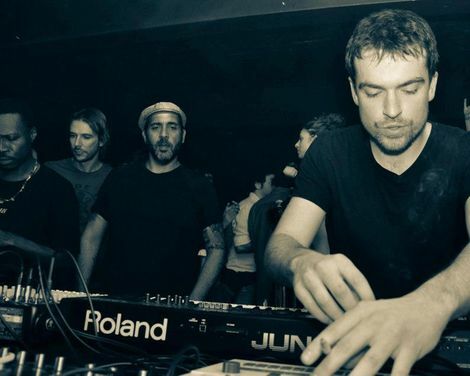 John Heckle: I’ve never been a massive fan of the more minimal sound of dance music (for the most part). Big sounding music in general is what I’d always prefer to go out and listen to. But any music can be inspiring. I’ve not yet considered using a live band, though I’m definitely open to the idea. I like to make the use of machines sound as organic as possible where necessary, so using elements of a live band could be the logical next step. Getintothis: It’s fair to say that on Merseyside you’re largely under the radar, yet in DJ/dance circles you’ve huge respect – do you think Second Son could have a crossover appeal? John Heckle: It’s nice to get appreciation for what you do on a wide scale. But I’m happy being under the radar in Liverpool at the moment. As far as crossover appeal: I’m not sure, it’s not for me to say really. Getintothis: I’ve read elsewhere that you’re more inspired by visionary electronic pioneers of the past (eg: Tom Dissevelt) yet there’s big nods to the likes of Lindstrom, Prins Thomas, the DFA guys – how do you see yourself within an electronic context? John Heckle: I haven’t heard much of the music from Lindstrom, Prins Thomas or the DFA guys, so any similarities are purely coincidental. We must all like the same music! Getintothis: What are your top tips from Liverpool – both musically, and on a wider cultural sense? John Heckle: Musical tips? I guess just stick to your guns and never buckle to any trends. Hard work will eventually pay off. And never be afraid to do something different. Getintothis: Who’d be your five top dinner guests (dead or alive, fact or fiction) to invite over to the Heckle residence. John Heckle: Bob Dylan, John Lennon, Ron Hardy, Bill Shankly, Jimmy Page. 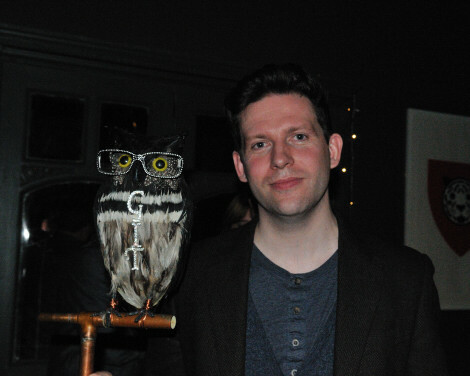 Getintothis: What’s next from John Heckle? John Heckle: Working on album number two soon, as well as few other projects due to come in the New Year. Plus shows in Moscow, Singapore, Paris and more on the horizon: pretty exciting times. 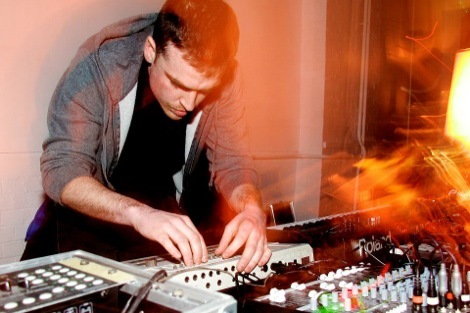 Listen to John’s exclusive mixtape for Getintothis here. Getintothis Volume #6 – John Heckle GIT AWARD 2013: Nominee profile – John Heckle John Heckle: Mesopotamia GIT AWARD 2013: picture gallery featuring Baltic Fleet, Nadine Carina, Conan, John Heckle, Tyler Mensah and more John Peel’s record collection to go online at The Space People’s Balearic Disco: Cosmic rides, space, time and crazy sounds Lovecraft pioneer a Mission To Mars Casablanca and Max Steiner: A pioneer in sampling?